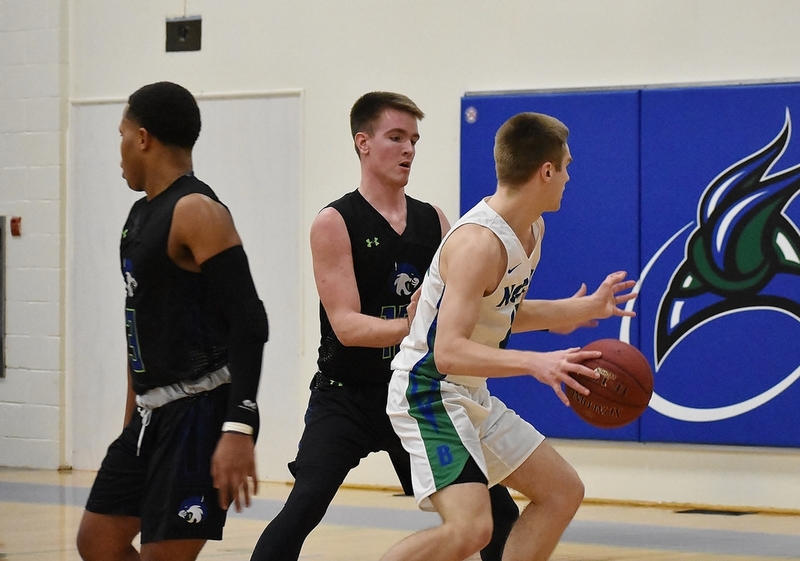 ESCANABA---The Bay College men's basketball team had the lead early in the second half, but Bryant & Stratton went on a 22-5 run and pulled away for a 88-75 win Saturday in Escanaba. 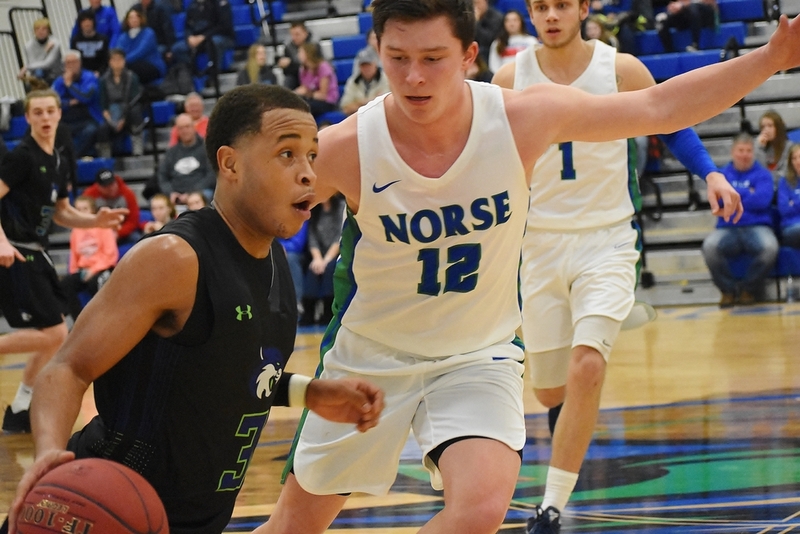 It was the second loss of the season for the Norse against the Bobcats, who received votes in the latest NJCAA national poll. The Bobcats nailed 14 three-point baskets (by eigght different players) in their victory. 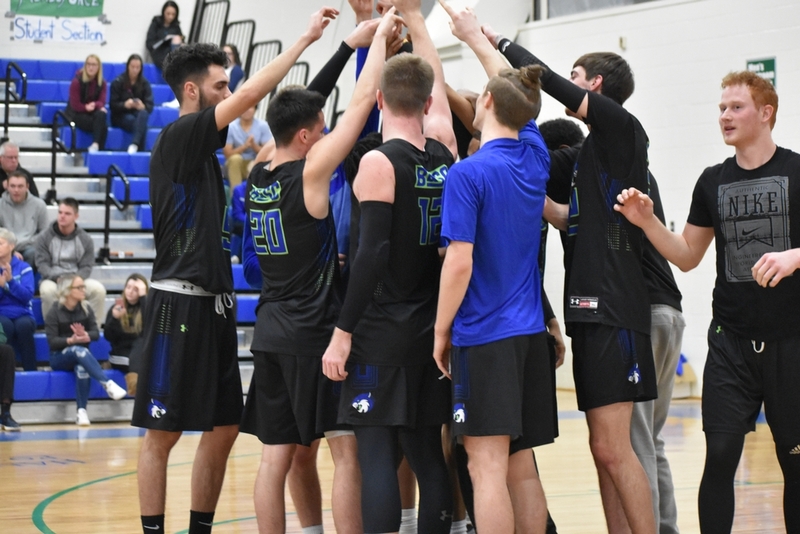 Bay College trailed, 44-43, at halftime, but took a 49-47 lead two minutes into the second half. 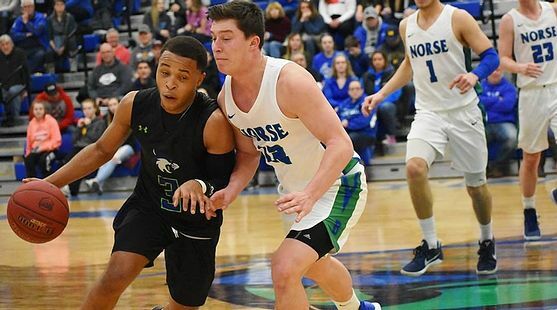 The Bobcats, led by point guard Justen Brookens, scored twelve straight points to turn momentum in their favor. When the 22-5 run was over, the visitors led, 69-54. 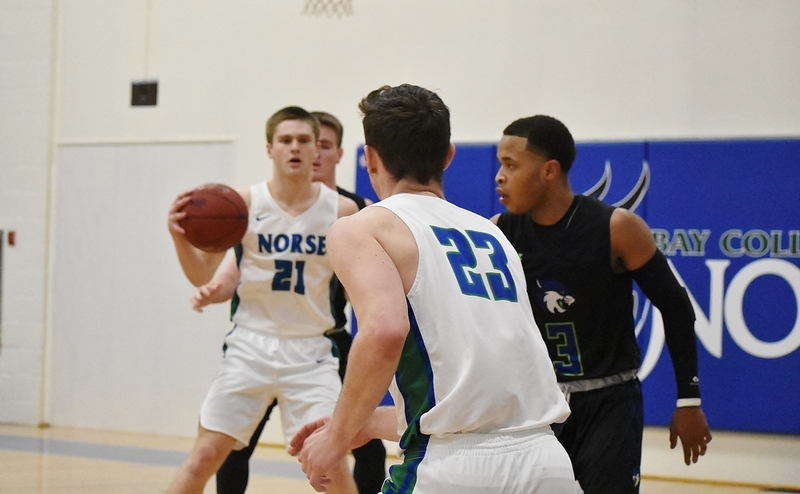 Norse freshman Ryan Arndt tried his best to keep his team in the game. 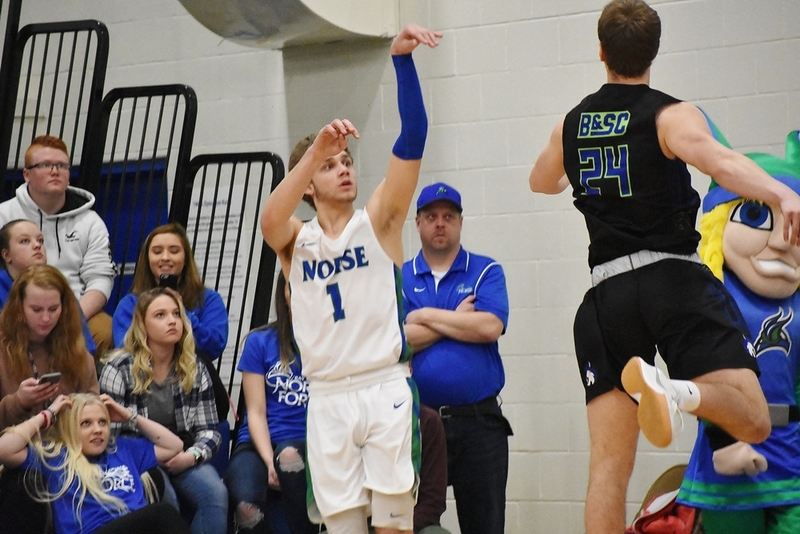 The Bark River-Harris graduate sank five three-point baskets in the second half, and he had six triples altogether and finished with a career-high 18 points. Bay couldn't get the deficit back under ten points, however. Brookens scored 26 points to lead all scorers. Kyle McDermed added 21 points and Manny Jingco added eleven. 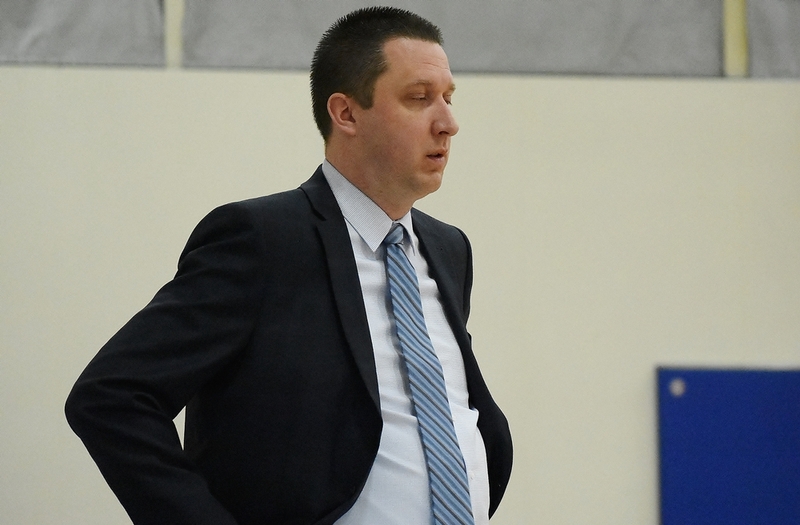 Bryant & Stratton improved its record to 20-7. Bay College struggled at the guard position, with Alfonzo Fields making just two of his 14 field goal attempts. Ryan Robinette shot just 4-of-14 (and 2-of-10 from downtown). 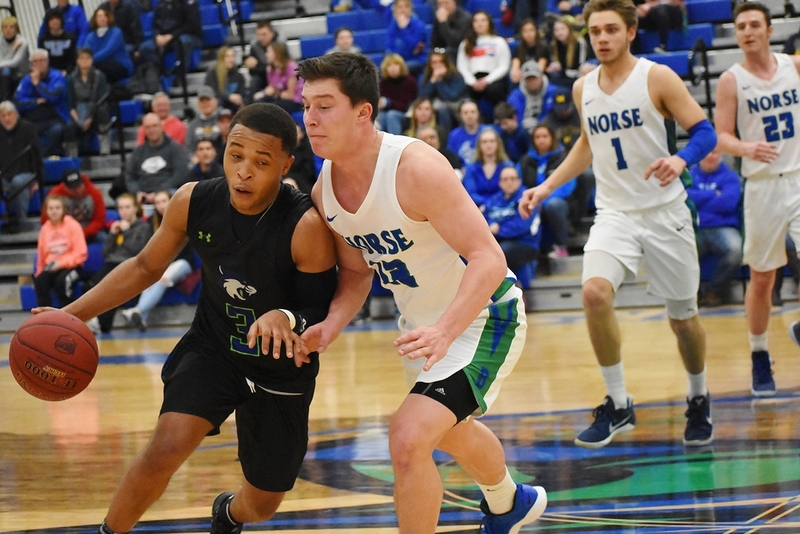 Inside the paint, Kobi Barnes made five of his six field goal attempts, and he made five free throws, to finish with 15 points. Fellow big-man Christian Alexander made all three of his field goals, although Tyler Willette shot an uncharacteristic 1-for-6 from tje field. 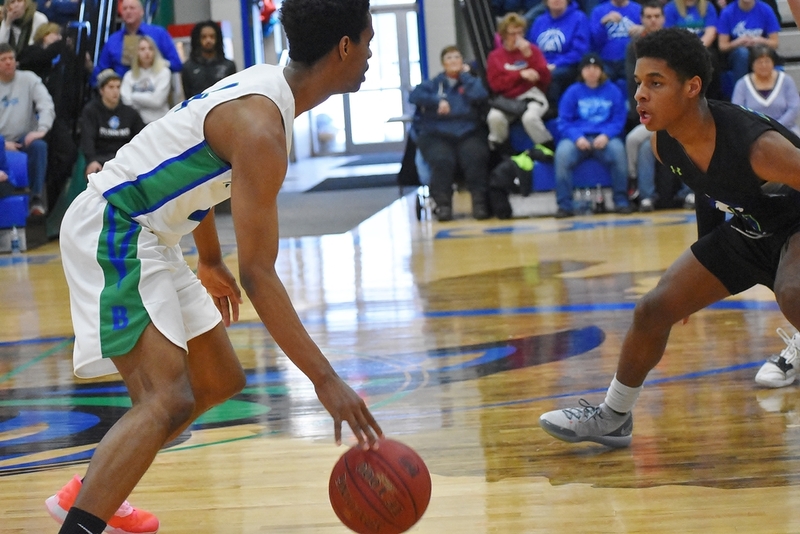 Bay College fell to 16-9 on the season, and 0-4 against the two Milwaukee-area schools. 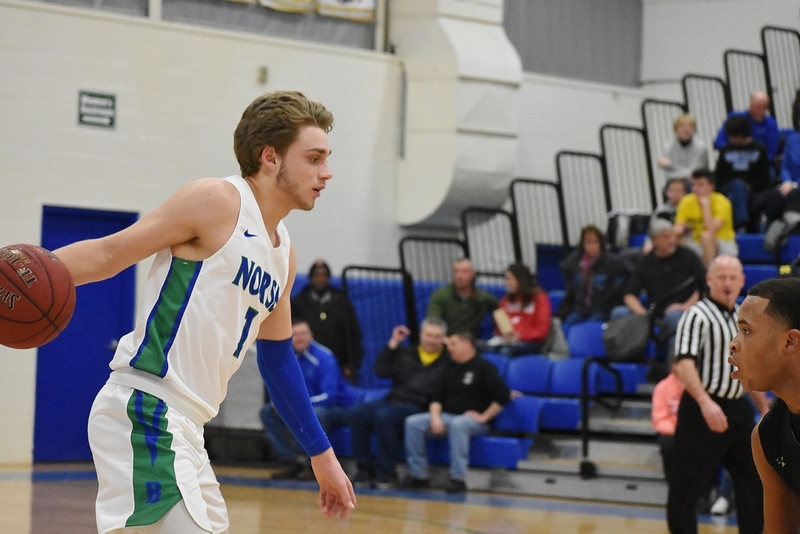 The Norse look to get back on track Monday night in Alpena. The game starts at 7:30 and will be broadcast live on Maverick 106.3 and radioresultsnetwork.com. 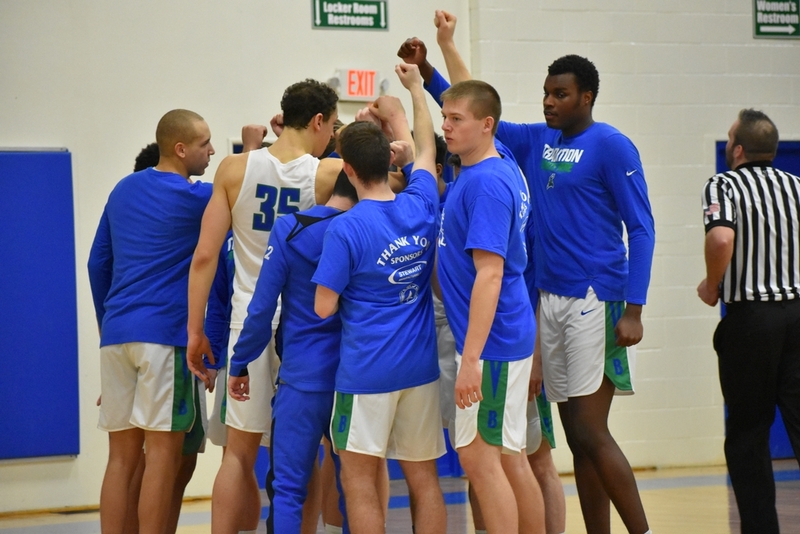 Click the thumbnails in the ARTICLE HIGHLIGHTS box above to see photos and videos, and to hear comments from Coach Matt Johnson.